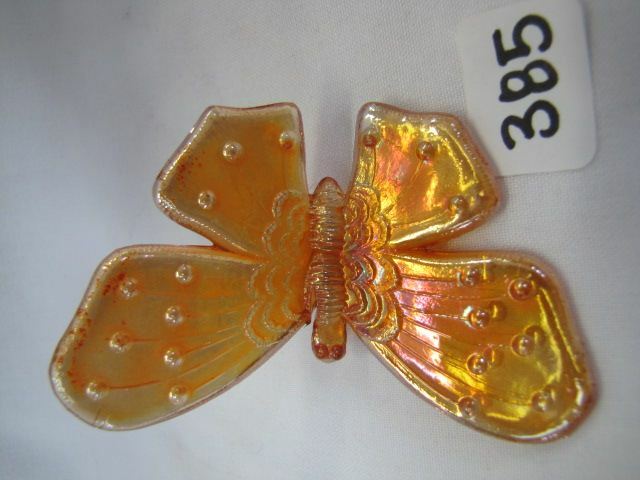 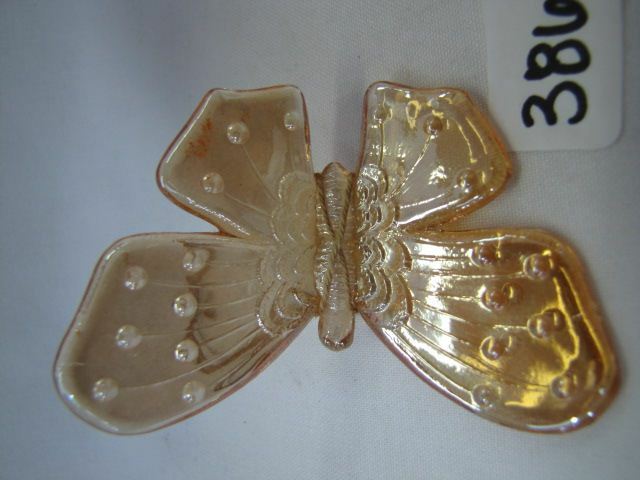 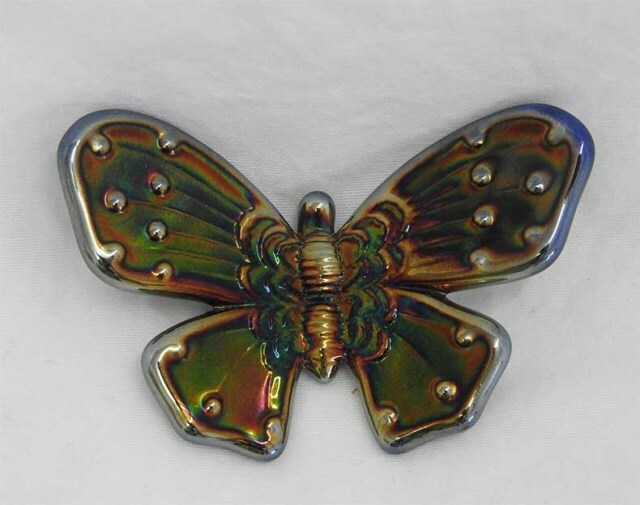 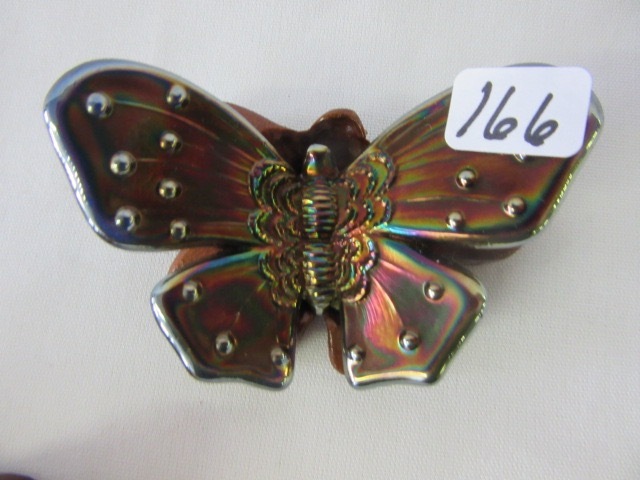 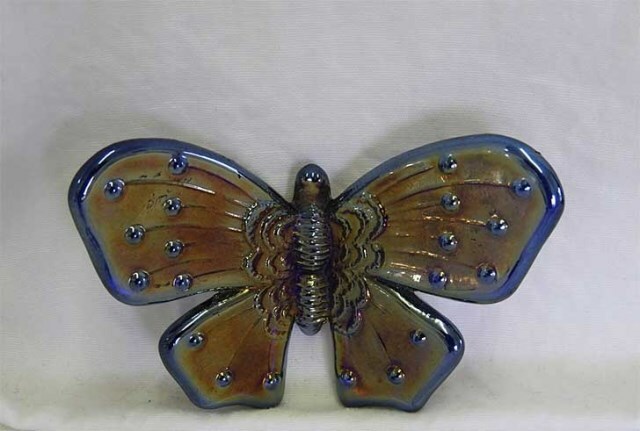 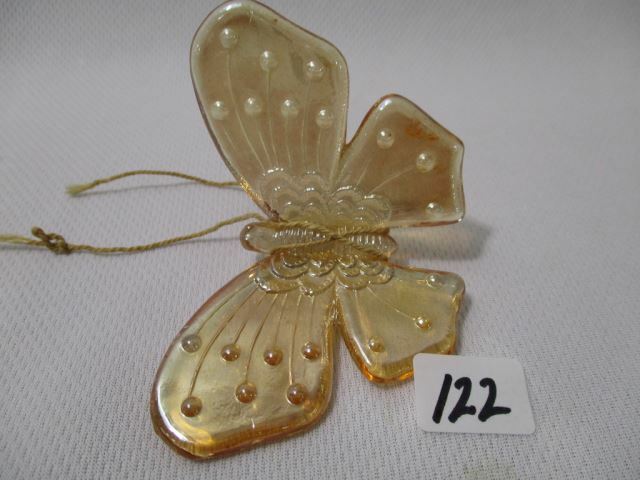 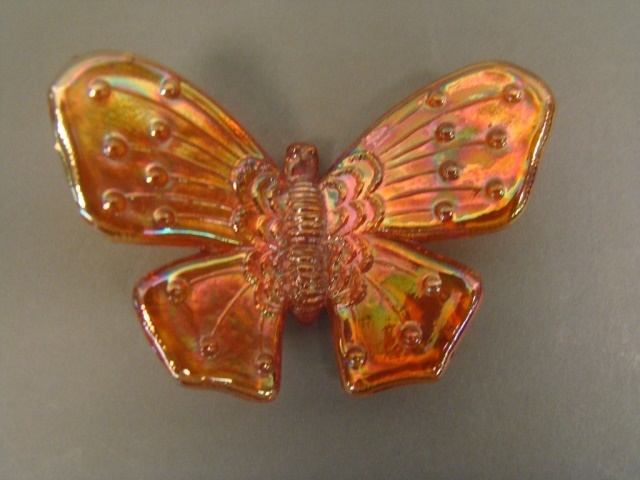 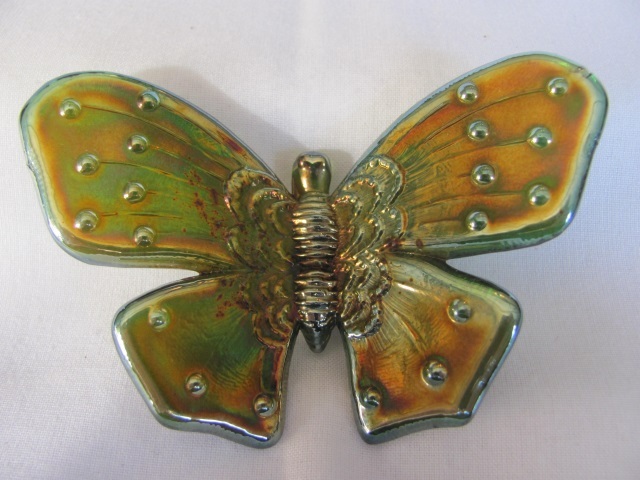 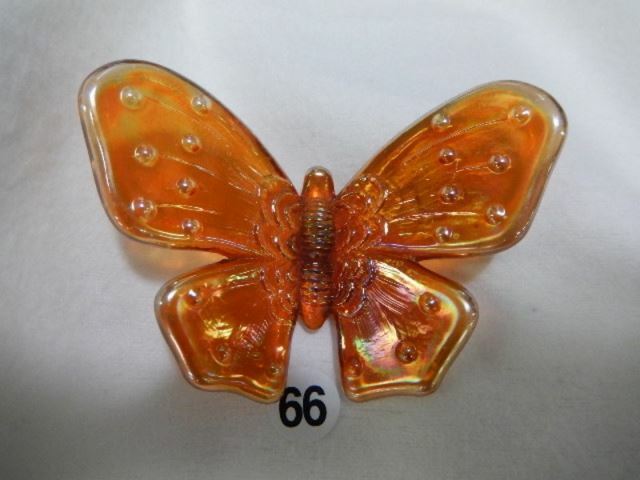 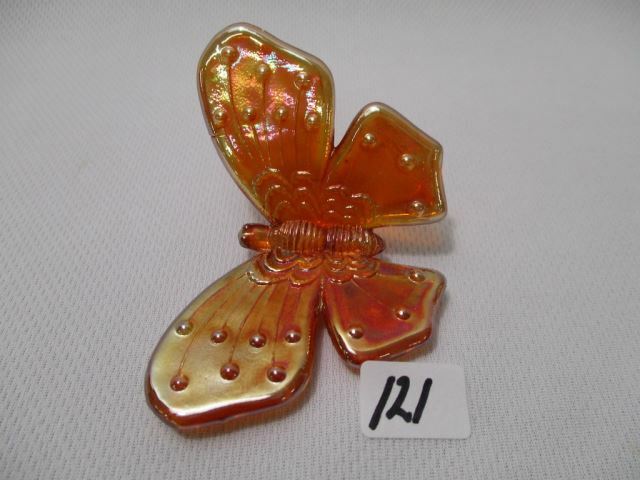 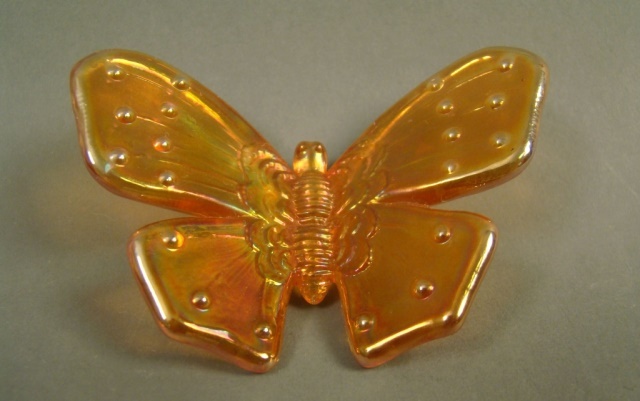 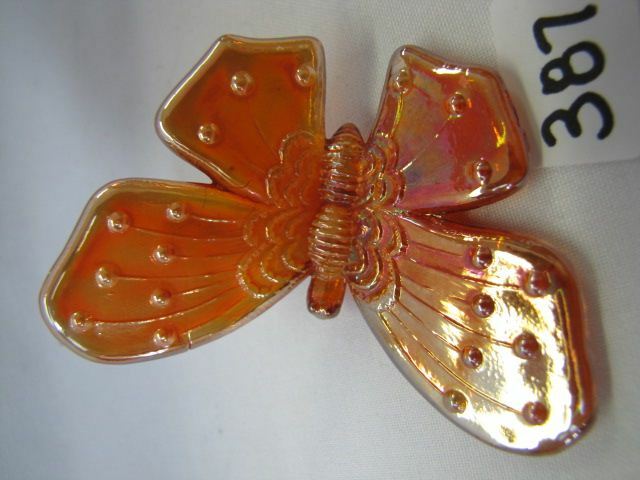 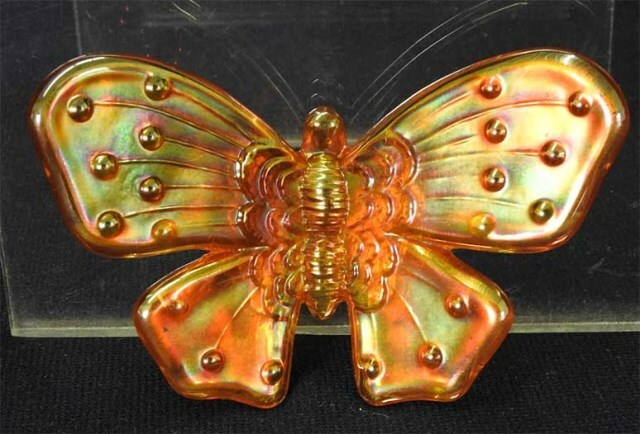 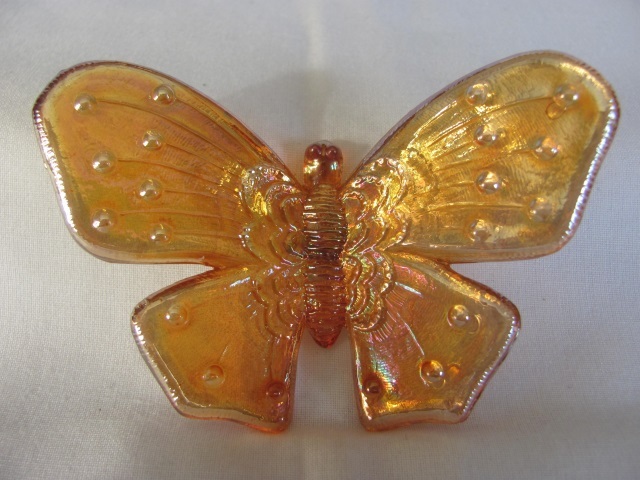 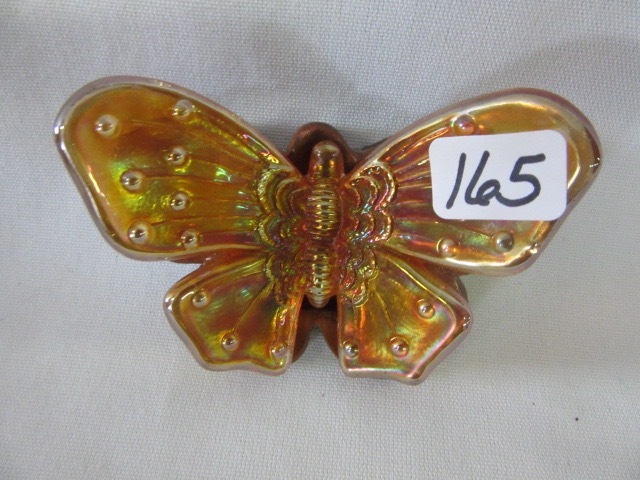 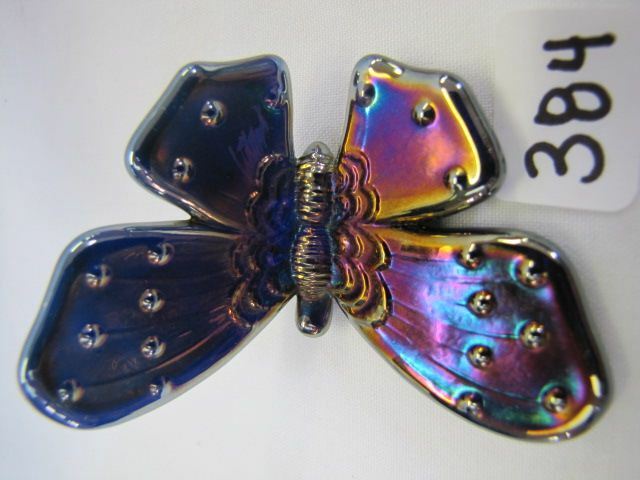 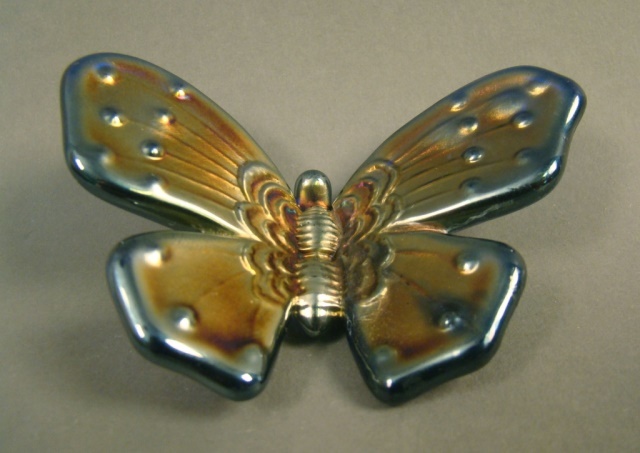 These are the old Fenton butterfly ornaments. 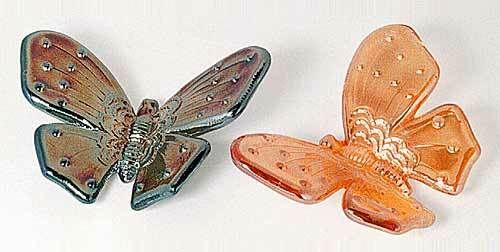 They have a wingspan of three inches and, as can be seen, are much more delicate than the newer ones. 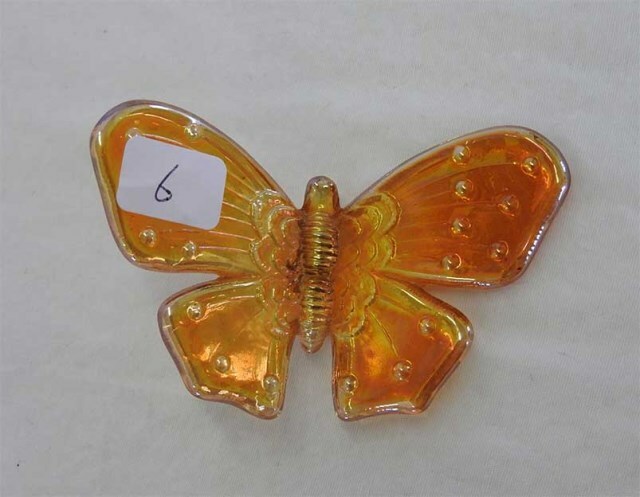 It's been suggested that they were given away at the factory when a purchase was made. 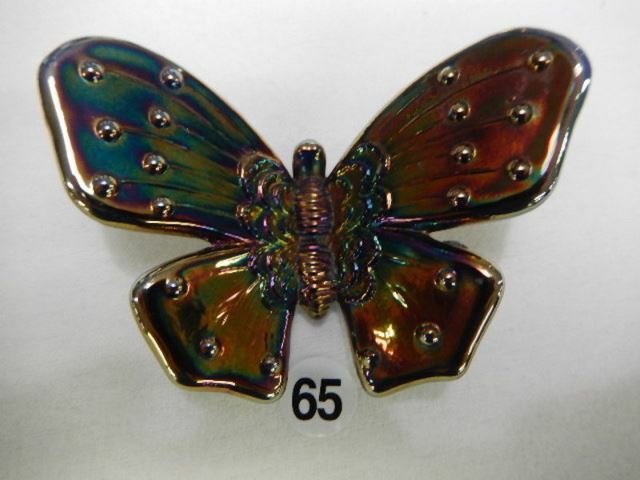 About 40 of these are known in seven colors: aqua, blue, marigold, green, ice blue, ice green, and white. 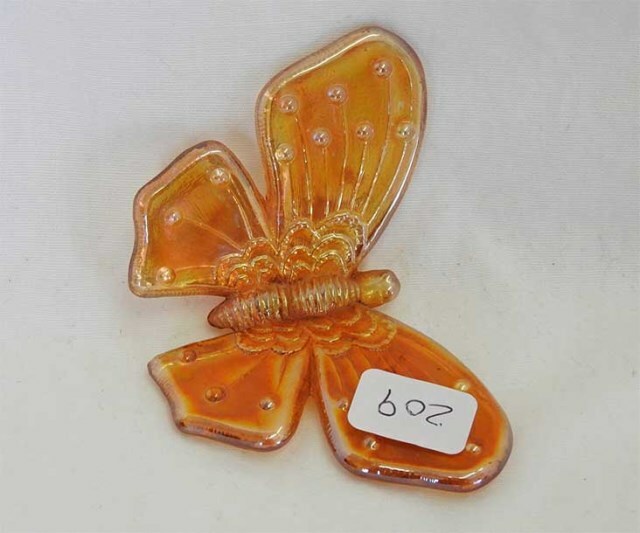 Marigold seem to outnumber the others.